The Air Jordan XX8 SE got a lot of attention after it debuted in the sneaker market as part of the “Bel-Air Pack” that hit the market last week. The new variant of Jordan Brand’s signature shoe for this year is set to get more attention with the release of three more colorways of the shoe. 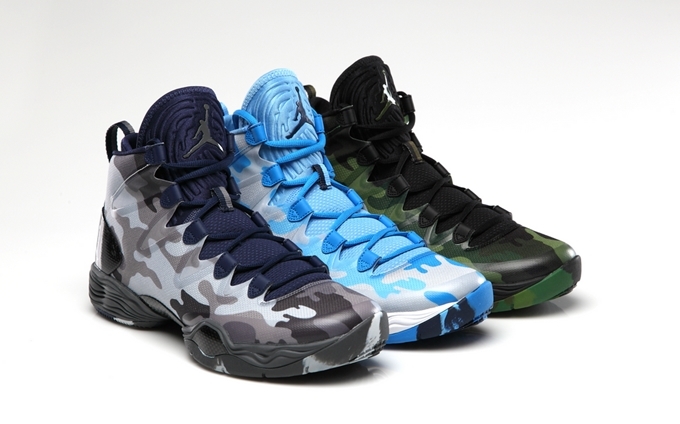 Included in what was dubbed as the “Camo Pack” is the “Georgetown” edition that is officially listed as the Dark Grey/White-Wolf Grey-Midnight Navy along with the UNC edition that is the University Blue/White-Midnight Navy-Photo Blue and the Army-inspired Black/White-Legion Green-Fortress Green colorway of the sneaker. These three kicks are now available and it could be yours for just $150 per pair.